Nailtiques Hand Conditioner is a highly concentrated combination of pure aloe and jojoba oils that rehydrate and condition the hand and cuticle area. 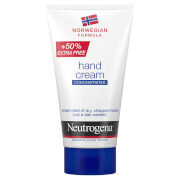 This nourishing cream has been formulated to soften cuticles and skin without softening the nails. This lightweight, non-greasy, fast absorbing Nailtiques Hand Conditioner is formulated to rehydrate and condition the hands and cuticles, softening the skin but not the nails.